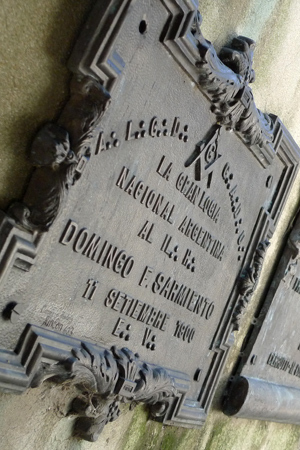 Born in 1811 while Argentina struggled for independence, Domingo Sarmiento spent his early years voraciously reading & studying. It would set the tone for his life. By the age of 15, he founded a school in his native province of San Juan… all students were naturally older than he was at the time. Due to civil war & local caudillo Facundo Quiroga, Sarmiento fled in exile to Chile in 1831 where he continued his educational activities. That period was spent between marriage, founding the Universidad de Chile, running a newspaper, & being sent on behalf of the Chilean government to the United States to study its primary education system. 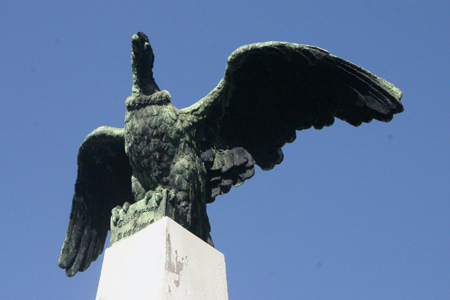 Sarmiento returned to Argentina 20 years later as an authority in education. Anti-Rosas to the core, he later aligned with Bartolomé Mitre while serving as Senator. 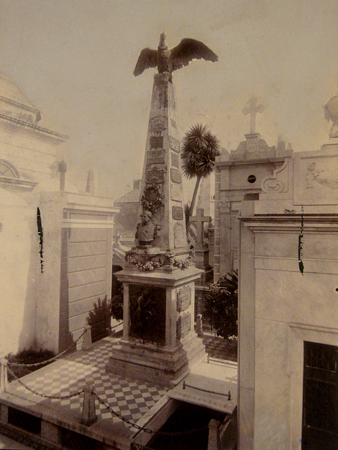 Accompanying General Wenceslao Paunero to the Cuyo region, Sarmiento governed his native province of San Juan then returned to the U.S. as Argentina’s ambassador. 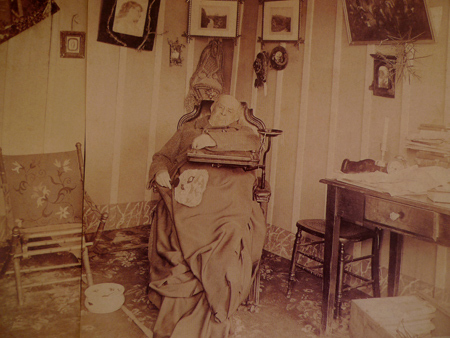 Unfortunately his adopted son was killed in the War of the Triple Alliance while he was away. 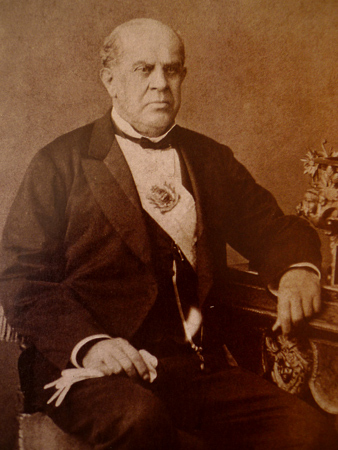 Back home in 1868 & under no political party, Sarmiento was elected President with Adolfo Alsina as his running mate. After one term in the Casa Rosada, he continued to serve Argentina in number of governmental & educational posts. Of course Sarmiento was no saint & displayed some negative traits of his time: racism & a bit of an addiction to power. But historians have naturally chosen to focus on the positive. 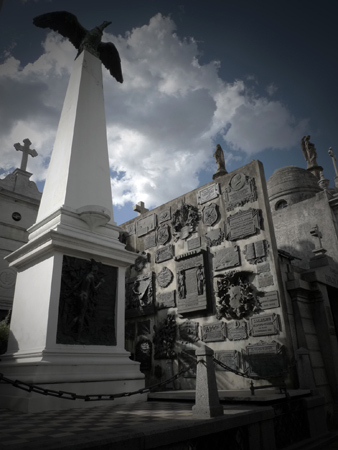 This tomb was declared a National Historic Monument in 1946. 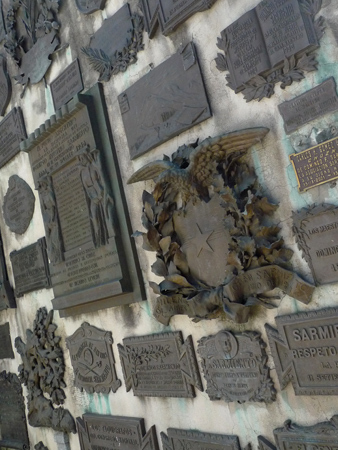 Tengo entendido que él mismo diseñó su tumba, de acuerdo a sus ideas masónicas. También diseñó la de su hijo, Dominguito, que murió en 1867 en la batalla de Curupaití en la guerra del Paraguay. 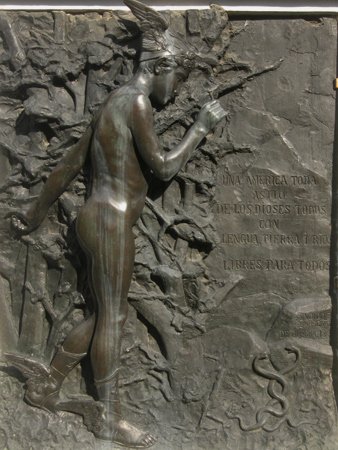 Hola Paula – Fue Victor de Pol que diseñó la tumba de Sarmiento según una biografia del escultor escrito por Edgardo J. Rocca. Puede ser que Sarmiento diseñó la cripta del hijo pero no leí nada para confirmarlo. En el libro Cuyano Alborotador dice que Sarmiento deseaba una hiedra sobre su tumba. Parece que nadie cumplió su deseo. Hay varias versiones, inclusive una que cuenta que Sarmiento cultivaba una hiedra para su propia tumba. Vaya a saber si lo hizo o no. Igual me parece que quedó con un lindo lugar para descansar en paz. Saludos! Hey, I hate to be *that* guy but “on ne tue point les idées” means “one never kills ideas”. Not quite the same thing..
“On ne tue point les idées” means in fact “Ideas are not killed”. The English language is a master of the passive form. Some add: Barbarians, ideas are not killed! Sarmiento was on the flight of barbarians, who wanted to kill him (because of his progressive ideas?). In either case, he has got his point. 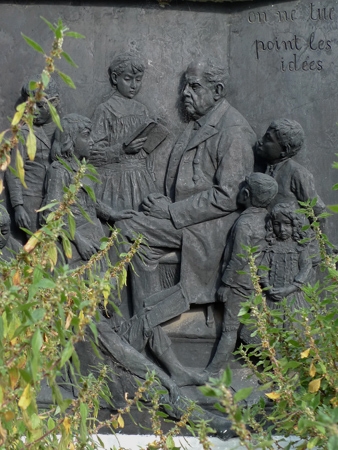 His ideas have not been killed, he was the father of education in Argentina. While he was President, a census was performed and proved, that 75 % of Argentina’s population (of a total of 1,8 million) was illiterate. One generation later, everybody could read and write. 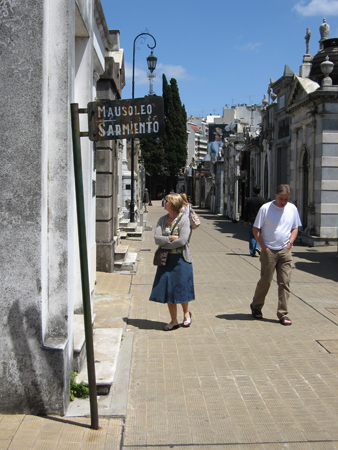 His bust has been restored in the meantime, I am always there, when I guide guests through Recoleta cemetery. Thanks for your comment, Hugo. Seems like everyone has their own translation, but at least the same point comes across. His ideas could not be killed, & it’s remarkable that at the time Argentina had more progressive policies in education than many countries in Europe… most everyone attributes that to his time in the US. I’m glad to hear that his bust has been restored!